Men and women can sometimes seem like different species, let alone different genders. Therefore it is no surprise that many times they have vastly dissimilar interest when it comes to buying a car. What kind of cars women want are important. As stated on TNWNews.com, women influence up to 80% of all car purchases, so listen up fellas. These vehicles could be so popular with women because most of them are practical and not too large or small. According to the same study men predominately bought more pick-ups, SUV’s, and luxury models. But that’s not to say the women don’t want those too! Hey ladies, looking to switch up your ride? Check out Swapalease.com. Headquartered in Cincinnati Ohio, Swapalease.com is an online marketplace that allows drivers to list their current lease and helps match them with buyers looking to take over the remainder of that lease. Both parties get what they’re looking for all with the convenience of online shopping. Does your ride reflect your state’s style? If not and you want to drive something that better suits you, check out Swapalease.com. 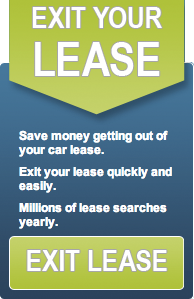 Swapalease.com is the largest online lease transfer marketplace and has vehicles and customers in every state in the continental United States and Canada. For more information on finding the best car lease deals or to learn how you can have a successful car lease trade, visit Swapalease.com or contact them at 866-SWAPNOW. Are You Risking Your Car’s Resale Value? When you buy a new car, you are basically buying a blank canvas. Each mile you put on the car is a memory, a trip you’ve taken. But is your car’s story going to make your car impossible to sell when it comes time for you to move on? Some people are always thinking about their car’s resale value, others don’t give it a single thought until it comes time to sell their vehicle. Either way, the decisions you make now will effect what your car will sell for in the future. Technology – The cutting edge technology that came with your car when you bought it may not help you when you go to sell. The fact is, most used car buyers are looking to save a few bucks so the latest in-car technology may not be something they are willing to pay extra for. Paint Color – If you are the creative, out-of-the-box type then chances are when you went to buy a car, you wanted to pick a color that would stand out of the crowd. Perhaps green, electric blue, or a burnt orange color. But picking a color that is out of the ordinary might deter some potential buyers. The most popular car colors are silver, white, black and grey. Keep this in mind when you are purchasing or re-painting your car. Aftermarket Accessories – Spending extra money on an expensive stereo or a adding a body kit to your car might make it better in your opinion but those pieces and parts might be worthless to another buyer. Also avoid adding anything to your car that will modify to the any safety features, this could cause your car to lose its ability to be quality pre-owned certified. 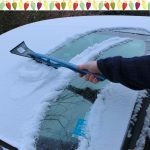 Exterior Condition – It is no surprise that the future owner of your car will not want to see the dents from the time you accidentally backed into the mailbox. Keeping your car in good condition is a great way to maintain your car’s value over the years. Before you show your car to a potential buyer make sure you wash it and take off any bumper sticker you may have. Make it look the best it can. Interior Condition – Accidents happen. Everyone has spilled something in their car at least once no matter how careful they are. Buying seat covers and rubber floor mats is one way to protect against any unsightly stains and marks. Before you show your car you will want to get the interior detailed. A foul smell can instantly turnoff a potential buyer from purchasing your car. As the need to ‘save the planet’ becomes more important, car companies are turning toward producing more sustainable automobiles. Although vehicles that run partially or entirely on battery power have been previously thought of as weak or not having what it takes to make long distance trips, current electric vehicles are breaking the stereotype. Perhaps the first step in debunking the electric car myths occurred in 2013, when Elon Musk, the founder of Tesla Motors made the nine-day, cross-country trip from Los Angeles to New York in his company’s Model S Sedan. This publicity stunt showed the automobile industry that electric cars can do the distance. Telsa’s cars, which are Plug-in Electric (PEVs), have done very well. These cars rely solely on electricity to power the vehicle and do not use an internal combustion engine. The other side of electric vehicles (EVs) are the Hybrid Electric Vehicles (HEVs). A prime example of this type of car would be the Toyota Prius. These vehicles combine the use of an internal combustion engine with an electric propulsion system. Many modern HEVs also have technology that converts the kinetic energy generated form the vehicles brakes into electric energy used to charge the car’s batteries. Another common myth is that consumers driving EVs will end up spending more because of the increase in electric bills. While it is true that your electricity bill will go up, in the end you will be saving money because you will be spending much less or won’t be spending anything on gas, depending on what type of EV you decide to drive, HEV or PEV. According to the Union of Concerned Scientists, on average a PEV costs just $421 dollars a year to fuel, a HEV costs $764 dollars to fuel a year, and gasoline-only vehicle costs $1,500 a year to fuel. Consumers are now appreciating the money-saving and eco-friendly aspect of EVs and car companies are taking notice. Audi and Porsche have recently unveiled their own versions of EVs. Porsche will be producing a battery-powered sports car, and Audi is working on a sport-utility vehicle. These high-end EVs which will compete with Telsa but will not be on the market until 2018. If you don’t want to wait that long for an EV but want to do your part in the saving the planet, check out Swapalease.com. Swapalease.com has been helping people who want to switch up their ride for more than 15 years. Headquartered in Cincinnati Ohio, Swapalease.com is an online marketplace that allows drivers to list their current lease and helps match them with buyers looking to take over the remainder of that lease. Both parties get what they’re looking for all with the convenience of online shopping. Cars may drive themselves in the future but in the meantime there are some other pretty cool innovations that are making cars more interactive and safe. Car companies are teaming up with tech companies to bring drivers the most advanced car experiences in the world. From the techy to the practical all car advances are welcome here. It is easy to get distracted while driving. Drivers want to look at their phones, play with the radio station or maybe even day dream. But driving while distracted can lead to serious car accidents. According to the CDC 9 people die every day from distracted driving. Jaguar wants to lower that number. The Jaguar F-Type has a special distraction-monitoring system developed by the Australian based technology firm, Seeing Machines. This system alerts the driver if the program finds that he or she is distracted, drowsy, or otherwise not paying attention to the road. This safety feature would be great in cars that will be driven by the younger generation who tend to try to multitask. New safety features are always great but what if your car could help you out even when you are not in it? Volvo is trying to turn your car into a mailbox. The automobile maker is testing a system that will allow delivery men to access your car’s trunk to drop off packages and then lock up and send you a notification to your smartphone when the delivery is complete. It is ideas like this that are integrating our cars into every aspect of our lives. But don’t expect all your Amazon goodies to get dropped off at your car just yet, this service will mostly take several years before it is put to use. If you are more impressed with technology than novelty features then check this out. Volkswagen is developing a system that will allow the driver to control various aspects of the car like the windows, sunroof and air-conditioning. With this technology the driver will not have to move their focus off the road and onto trying to roll back the sun roof or adjust the car’s temperature. The gestures will be picked up by a 3-D camera mounted near the front of the car. Feeling a little envious that your car doesn’t have any of these or other cool features? Check out Swapalease.com. Swapalease.com has been helping people who want to switch up their ride for more than 15 years. Headquartered in Cincinnati Ohio, Swapalease.com is an online marketplace that allows drivers to list their current lease and helps match them with buyers looking to take over the remainder of that lease. Both parties get what they’re looking for all with the convenience of online shopping. Could Hackers Hijack Your Car? Technology is integrating itself into every aspect of our lives including our cars. Many newer-model cars now include Bluetooth, Wi-Fi, navigation systems, keyless entries and ignitions, parking assistance, lane departure warning systems and more features that incorporate advanced technology. And while having this technology in automobiles is making them more desirable to the tech-savvy public, it is also making cars easier to hack into. Hacking into cars is done through a system of computers. There are about 20-70 different computers in modern day cars. Each computer controls a specific function and may communicate with other computers inside the car. Hackers have been able to take over the functions of these car’s computers by compromising the communication system from a remote location. They then send messages to the computers inside the car thus making the cyber-physical components of the car preform an action that the driver did not request. Recently, there has been news of a team of hackers taking control of a 2014 Jeep Cherokee. The two hackers were able to remotely control features such as the air-conditioning, radio, and windshield wipers. Fiat-Chrysler will recall more than 206,000 2014 Jeep Cherokees to enhance safety measures against hackers. Other cars that are at risk for similar concerns are the 2014 Infiniti Q50, 2015 Cadillac Escalade and the 2014 Toyota Prius according to Business Insider. If your car has any of the features previously mentioned there are a few ways that you can protect your vehicle from any type of computer compromise. Always make sure that your car is locked and secure. If there are any passwords of personal information linked to your car’s infotainment system make sure those are kept private. Keep your car’s software security system up to date. This is your car’s first defense against hackers. Only use certified automotive professionals to work on your car. Anyone working on your vehicle could tamper with your car’s computing system. Using these tips could help you avoid a situation where your car could be hacked. But if you are still concerned and want to drive a car with less of a risk check out Swapalease.com. Headquartered in Cincinnati Ohio, Swapalease.com is an online marketplace that allows drivers to list their current lease and helps match them with buyers looking to take over the remainder of that lease. Both parties get what they’re looking for all with the convenience of online shopping. Hurricane season is upon us and for those living on the East Coast now is the time to take precautions to ensure that you and all your belongings will make it through the storms. Hurricane shutters, canned food and extra water are all necessities for surviving a storm but it is also a good idea to try and protect your car. According to US News, 250,000 cars were flood-damaged during Hurricane Sandy in 2012. Here are 5 tips to help preserve your car during a hurricane. Move your car further inland: Hurricanes usually bring large amounts of rainfall and rising tides resulting in flooding. If possible, move your car further inland, away from the coast and to higher ground to avoid water damage to your car. Cover your car: The high-speed winds of a hurricane can pick up debris, like roofs, trees, and other scraps of material and drop it on your car. Put your car in the garage if you can, if not make sure your car is not under any power lines, trees or anything else that could fall on it. Protect your windows: Taping your car windows with masking tape can help them from shattering. The most common way to do this is by taping an “X” on the window. Fuel up: Keep a full tank of gas in your car or keep full gas cans in your garage. When the storm is over and it is safe to drive, you will be able to get on the road without waiting at the pump for gas. Take photos: Before the storm hits, take photos of your car from all angles. Do the same after the storm. If there are any new damages to your car you can show your insurance company the before and after pictures as proof of damage. Paying for gas is no fun but because most of us need our cars to get to school, work and other necessary places. But some people have beat the system by making their own fuel. These bio-fuels may be unconventional but one day when the price of fossil fuels is sky-high, we might be wishing we had given some of these wacky fuel alternative a chance. Vegetable oil – Most diesel engines can run on waste vegetable oil after some fuel tank adjustments. Always be sure to consult an automotive professional before making changes to your car. Turkey guts – Through a process called thermo-depolymerization, turkey innards, feathers and all other parts of the bird can be turned into fuel. Dirty diapers – Soiled baby diapers can become useable fuel after undergoing a process called pyrolysis in which the material is heated until the molecules break down, enabling it to be used as fuel. Coffee – Used coffee grounds can be turned into bio-fuel, which is a clean burning and eco-friendly fuel. Styrofoam – Diesel fuel can be made by dissolving a component in Styrofoam and other plastics. Unfortunately the plastic fuel is too think and causes overheating. Human fat – Fat which contains triglycerides can be converted into diesel fuel.